For those interested in whining and complaining and singing the AIN’T IT AWFUL song about WorkComp — BYOB – BRING YOUR OWN BLOG and dump all the crappy news here at this event. Let’s clean up the OCCUPY WORK COMP group and realign focus on solutions. The ain’t it awful crowd can post over here… and on July 4, we’ll take a look and identify the most whined about problems and then see if we can come up with the solutions. After more thought about the attacks by national workers compensation spokes peeps in their blogs, and also thinking more about related attacks experienced on LinkedIn via a certain team of Injured Workers in recent weeks, I have decided to grant the request for public acknowledgement that the allegedly submitted ‘work comp/injured worker story’ in question by ‘their leader’ would not be used, nor would the stories of any associates of said provocateur be included. THEY ARE OUT OF THE CAR due to too many acts of Disinformation. “Contempt prior to investigation” is nearly as lethal as learned helplessness when it comes to maneuvering Workers Compensation Systems in America, Canada, Uk and Canada. This, we all know. The attacks were made in private LINKED IN threads over recent weeks that included nationally acclaimed investigative reporters with interests in Workers Compensation. The attacks were further taken to ‘the streets of LinkedIn’ and, I understand, in emails to some of you. The agitator had been invited to participate, in an act of poor judgement on my part, by me. They were again brought to my Facebook posts, groups, events and pages. Unacceptable. Real Injured Workers don’t act like that, do they? The party wanted, among other things, a public acknowledgement that the story allegedly submitted to MyWorkCompCoach.com would not be used because she changed her mind and didn’t like the concept that they stories would be initially be presented anonymously, for the protection of Injured Workers with more egregious stories to tell and to incite national discussions, as clearly described on the submission form and all prior blogs. The party also seemed mad that she wouldn’t be paid for the story, and had delusions about the costs of time, money and effort involved in tackling such a project, of free will and goodwill. In a knee jerk reaction, after the threats of “legal action” by the agitator and supporters, Injured Workers were quickly encouraged to implement compensatory strategies to create their own blogs and use the questions as bullet points to guide the story telling, so there might be some consistency in the sequence of facts being shared, around the globe. That is still an excellent idea, but with this “public announcement” of who is in, and who is out, the rest of us can proceed to assemble an eBook that may prove beneficial to the Workers Compensation National Discussions and to Congress and the Department of Labor and the Department of Justice, etc. While the attacks seem intended to squash intention and progress of the INJURED WORKER story collection and virtual publications, I am heartened by the continued submissions! 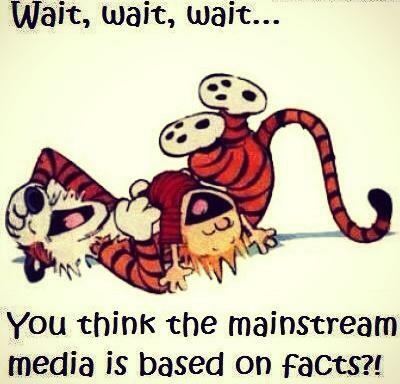 KEEP THE FAITH….WE’LL PULL IT TOGETHER, ALL TOGETHER because WE ARE THE MEDIA NOW. Multiple powerful thread opportunities with whining and time wasting questions and distractions, that were totally off topic in those threads that presented an opportunity to speak directly to influencers… It was unclear what the real motives were, but damaging bridges of communications with nationally respected investigative journalists people who could have really shared your stories was just one of the results. She continues, apparently, to brain wash and bully her apparent devotees in hopelessness and learned helplnessness, Stockholm syndrome-like, and discourages all effort by egregiously injured Workers to seek remedies and resolutions to attain freedom from Workers Compensation in favor of fighting Quixote Windmills and delusions that “the government” is unaware of the atrocities of Workers Compensation and will “fix” them upon clear understanding of the “HISTORY” and magnitude of the WorkCompKill. Meanwhile, industry mouthpieces call ME a ‘vociferous militant’….among other factless diatribes. I offer a pathway to mediation and structure settlements discussions that can save lives. Heck, it’s just business. Injured Workers, and their lawyers if they have them, must begin to think like business people in order to escape. If structured settlements are good enough for NFL players, what sort of idiot would call them blanket-evil? Just those who have been ‘stuck in the system’ for years and years and years and know nothing but oppression, and freedom is but a distant memory? For some, there IS NO HOPE. SAD. I also lost a friend due to these people, and I cannot sit quietly watching them destroy any opportunity OTHER INJURED WORKERS may have to escape work comp. It’s tough enough fighting with professional WorkCompsters, without having to dodge bullets coming from alleged allies. When Injured Workers act like crabs in a bucket to keep one another down, DIVIDE AND CONQUER has succeeded. What a shame. #OccupyWorkComp – AIN’T IT AWFUL fest — join in dumbing all the crappy news at this event and let’s get moving toward life saving solutions…. Here the links to two blogs regarding the activities of this senseless group. Draw your own conclusions. If this is NOT the group for you to be in, OCCUPY WORK COMP, kindly use the LEAVE GROUP button immediately. 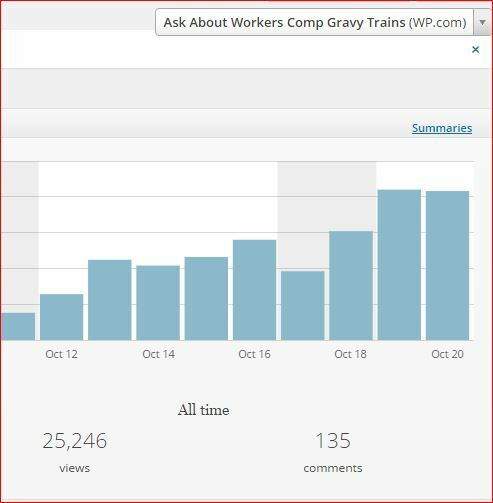 Let this serve as my public acknowledgement that the story allegedly submitted on the Website form, WHAT’S YOUR WORK COMP STORY, https://myworkcompcoach.com/whats-your-workcomp-story/ by Irene or Dina Padila, if found, will not be used in the ebook project for stories being collected for distribution to TRANSFORM WORKERS COMPENSATION, ONE STORY AT A TIME. The book is intended to be resolution oriented, and Ms. Padilla’s rhetoric does not fit that criteria anyway. AGITATOR: Why are you so sold on mediation or any kind of settlement/ ARE you working for them or earning a finder’s fee somehow? This is not what WC IS SUPPOSED TO BE FOR. MEDIATION, SETTLEMENTS OR ARBITRATION’S. YOU ARE HELPING THE INSURERS NOW! Without a blog and a growing database, injured workers are unarmed, unprotected and doomed. How sad. AGITATOR: This mediation arbitration and structured settlement sound like a shill for those who work for the insurance industry with more parasites taking injured workers benefits at a price. Oh the hell with our rights, RIGHT? Injured workers are just in it for a little money RIGHT? WOW! Who needs to fight for injured workers when all one has to do is just take a few K & GO AWAY like the insurers want you to do?!? All others, feel free to share your story at WHAT’S YOUR WORK COMP STORY, or better yet, start your own blog and start answering the questions there. Any Mediation and Structured Settlement Firms interested in providing a Guest Blog piece to reach more Injured Workers? Or something like that. No horror stories–everyone already knows exactly what you have been thru. Prudential is another structured settlement group. There are more. We will get a list. Make a few calls and find out your rights and options. If they say can’t help you, call another. Get your story line down to 1 minute then let them ask questions. Keep good call notes. If they laugh at you, you know how much blogging is ahead for you to do. If they say “not at this time’ you know you have to crank up your blog and your database. Ps DON’T WORRY ABOUT YOUR MEDICAL RECORDS….most real doctors call work company medical reports “copy and pasted garbage reports”. Do assemble your thoughts and evidence of fraud and other misdeeds. Be able to articulate your anticipated future medical needs. DO NOT SING “AIN’T IT AWFUL” at mediation. The goal is Resolution not blame throwing. If you blogger sufficiently prior to mediation resolution could become a reality. As to “ASSUME RESPONSIBILITY” …. consider the sources. Follow that money trail. Just a bunch of industry paid spokes peeps. Not friends of humanity. Killers of joy, life, liberty, goodness and anything to do with humanity. Pfffft. In my own case, it was a challenging road for all concerned, but without benefit of legal representation, ‘the parties reached resolution, subject to a confidentiality agreement’ in less than 4 years. How many WorkComp cases churn for 5, 10, 15, 20 – 30 life destroying years or more? I returned to the battle field to help free the hostages of workcomp. I used to respect that blogger who wrote ASSUME RESPONSIBILITY. I only pity him now. Karma will be his teacher. May he have a very interesting life. The CompLaude program, with some outside support from even yours truly since 2014 was building momentum. The biggest loss of the recent disparaging attacks is the loss of all credibility to that event — and it fully made the point of Injured Workers everywhere of what a sham it is. I shared about it extensively, as most of you know. Today, I join in the call to BOYCOTT #COMPLAUDE 2016 until such time the organization makes amends to the American Workers, including creation of a virtual platform to hear the real complaints of Injured Workers and professional doctors, lawyers and other providers who have left the system BECAUSE OF THE HYPER CORRUPTION. EXTEND AND PRETEND NO LONGER FLIES. THE SECRETS ARE OUT… SEARCH LIGHTS SHINING ON THE REAL ISSUES. Furthermore, as a Notary Public, I have taken an Oath to protect the Constitution of California and of the United States of America from enemies – foreign AND DOMESTIC. The terrorism of the working class by this industry sure seems quite like any other form of terrorism plaguing the planet. I do what I can. 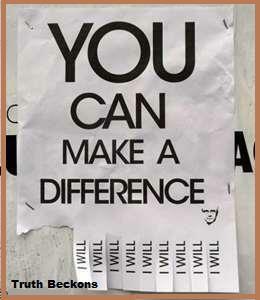 I hope you do, too. WHEN Injured Workers escape the system and do not return to build bridges and expose problems and incite discussions on solutions, the dirty lethal open secrets continue. It’s not disparaging to say they — the industry on the whole – operate like a clumsy SS system, with a few Colonel Klinks at the helm. Before Injured Workers learned the value of the internet – few people in the public knew about WorkComp. I worked over 45 years before I had an encounter. My friends said, ‘Get out of the workcomp comp system by any means necessary, it will kill you.’ I pass that advice on to the people who reach out to me, and I do my best to help them strategize escape and resolutions. Over the course, I have learned some pretty awful truths of the business of work comp. It is as vile, and more painfully evident, that the creatures of the nuclear industry. Most alll, sadly, can be lumped into one category: 21st Century Sonderkommando. WorkComp is not a legal issue any more than it is an employee benefit. The majority of lawyers apparently sold out the American people years ago. It’s not personal, neither are the disparaging attacks. It’s business. Someone apparently gave an order to silence me. I’m nobody, with a a brain injury and a blog in the middle of nowhere in rural Southern California. We’ll explore some other ‘new developments’ that may be linked to these attacks. I am waiting to hear back from some …. people ITK. Why else would national spokes dudes target me in their blogs? Well, maybe they just wanted to help increase the readership of my blogs by their use of several of my blog links in theirs? Maybe, not likely, but maybe, in a Maxwell Smart sort of way. If I end up dead, I do hope DOJ knows where to start looking for suspects…RICO style investigations. Follow that money trail. THE OPIOID ‘NATIONAL DISCUSSIONS’ totally fit the profile of disinformations and distractions, don’t they? Do any of their mouth pieces ever touch upon the failed surgeries that create the need for pain medications in the first place? Is it a distraction and a turf war by drug traffickers? Whatever, FREE THE WORK COMP HOSTAGES and let the WorkCompsters build something less lethal. THEY KNOW THAT THE AMERICANs KNOW THE GAME THEY HAVE BEEN RUNNING. TIME FOR CHANGE? IF NOT, THAT MUST BE A SIGN THAT IT IS TIME FOR INDICTMENTS AND MASSIVE TRIALS ACROSS USA. How about an insurance company representative who arrogantly invites ligitation, saying, ‘THE COURTS ROUTINELY RULE IN OUR FAVOR.” Is that insurance-speak for “WE OWN THE JUDGES, Too! !!! ???? In my own struggle, I am currently being disparaged, on a national basis, as a scapegoat for some pretty formidable enemies of humanity that are mouth pieces for the insurance industries and for the hyper corruption they represent. These are people who purport to be unbiased spokespeople for an industry that alleges to provide medical care and benefits to Injured Workers. THEY SELDOM DO. Good thing my short term memory etc is seriously impaired….I could stay mighty angry if I could bring to mind every vile false attack and innuendo of recent weeks. I often feel like I am living a sequel to Concussion, the non NFL version. I returned to the “Playing Field” to help free the WorkComp hostages. Oh Brother! Due to a revealing expose series by ProPublica and NPR, on the corruption of the industry, INSULT TO INJURY – THE DEMOLITION OF WORKERS COMPENSATION, the ‪#‎WorkCompsters‬ attack ME now, and a few of my vocal and also disabled friends, in attempts to distract and deceive the unsuspecting public about Worker’s Compensation in America? Really? Let’s get real. Do you really think that Ask About Workers Comp Gravy Trains is more powerful than Insult to Injury – The Demolition of Workers Compensation? Really? Awww, thanks, but that means you have read neither series. The attacks are on me, as an easy target – a disabled woman with a brain injury and a computer and a blog. Those bad boys of WorkComp are not going to shout too loud at the powers that be behind ProPublica and NPR, and survive it, ya think. I know it’s not personal. They are just attempting to protect their business model of “profits before lives, by any means necessary. I AM INJURED – NOT STUPID – FELLAS …Sticks and Stones and WorkCompsters…Oh My! #DodgeTheRads — One blessing of being disabled by WorkComp is that Injured Workers are better equipped than most to #ShelterInPlace. Ask about Your Radiation This Week, and how it is impacting your health. For those of you who may be puzzled about why and how the WorkComp Industry experts/ mouth pieces /puppets paint images and write stories as they do, OFTEN so very deceptively and dishonestly, here’s a quick reference sheet and update. The #WorkCompsters have ‘armed up’ with propaganda to attempt to mitigate the losses that will no doubt come from the 2015 long investigate report and expose, “INSULT TO INJURY: THE DEMOLITION OF WORKERS COMPENSATION” by the ProPublica and NPR teams. They didn’t tell all, but they told enough to cause a counter attack, apparently launched this month. STAY ALERT. This group may get attacked by cyber-bullies and industry provacteurs, so stay close and make friends other real people in this group, and bring some of your own friends. PLEASE, DO NOT ENGAGE WITH INDUSTRY TROLLS. 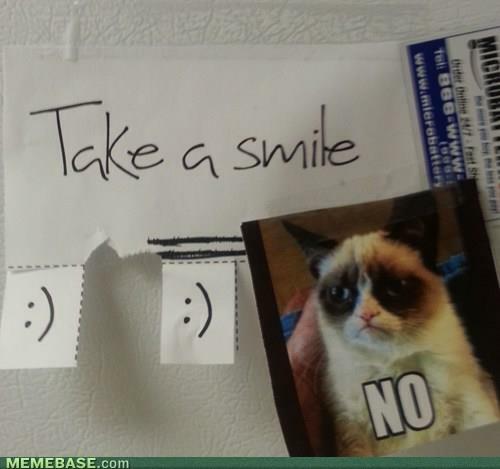 When they come, smile and ‘sing the troll song’… they hate that! Search the internet for more info on 25 Rules of Disinformation and 8 Traits of disinformationists, and when you start blogging, expect attacks like the ones I am currently enduring from two of the top mouthpieces for US WorkCompsters. Here are the industry’s picks of “Best Blogs” for 2016. Do your own research, draw your own conclusions. Subscribe and comment and share with your friends and neighbors. There were only dishonorable disparaging remarks about nominated Injured Worker blogs by the representative of the Judges and the industry. Their attacks are quite circus-like, and time wasting, and may even be in violation of attorney code of ethics governing conduct, nevertheless, at first glance, they seem credible and reliable. THEY ARE NOT. 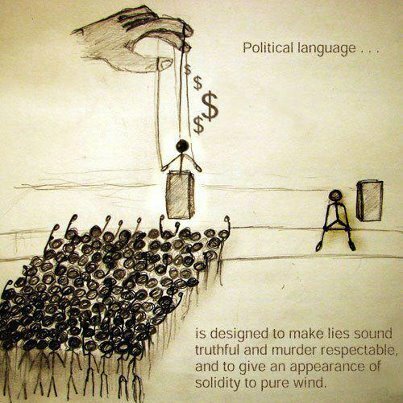 FOLLOW THE MONEY… THAT TRAIL NEVER LIES. With friends like you and like LucyOccupy, those bad boyz picked another fight with all of us, didn’t they? The Battle of Wits with the WorkCompsters has been somewhat documented, and more is expected from their attendees at their Dallas, last week, ‘conference’ and my blogs are in the works. The trolls and provocateurs of WorkComp and the ProNukers seem trained out of the same silly and vile playbook. Save the image below to your device. They are big on ‘crazy making schemes.’ It helps to take a deep breath and shun them. Start building your own database of email addresses…my best email is WorkCompLinda@gmail.com I respond to all private emails, eventually. I’m sort of slow on those matters, but if something is urgent, make it clear in the subject line if you write to me, please and thank you. Hey America! Can We Talk about this Congressional Letter and #WorkComp and a Congressional Task Force on Workers Compensation Abuses and Torture of the American Working Classes? 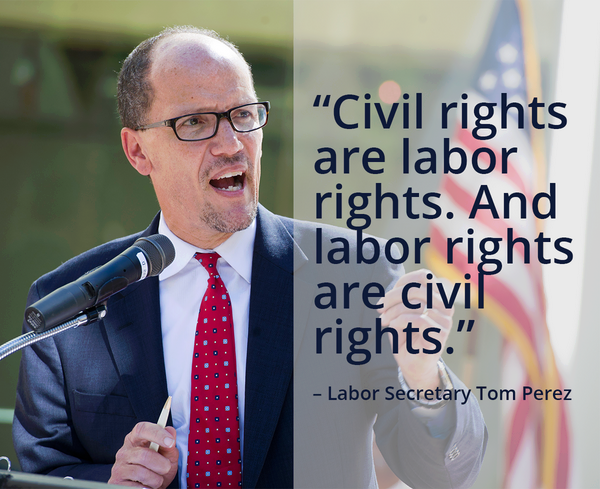 DID YOU READ AND DISCUSS THE CONGRESSIONAL LETTER ON WORK COMP TO SECRETARY OF LABOR TOM PEREZ? Below is an excerpt; click the link to go directly to the site. Read and share, blog about it, as if lives depend on it. The existing model of PROFITS BEFORE LIVES SEEMS TO BE A SWATH OF VIOLATIONS OF THE CONSTITUTION OF THE UNITED STATES OF AMERICA AND VARIOUS STATE CONSTITUTIONS. Let’s hope for a WORKCOMP CONGRESSIONAL TASK FORCE that includes cooperation of not only Department of Labor, but also the Department of Justice, the Federal Bureau of Investigations and yes, the National Guard to Protect Injured Workers in the most offending, dangerous states until solutions are found. Demand Domestic Torture Reports as a result of existing Workers Compensation practices. Send a note of thanks to these Congress people who have gone on record before the America public of their concerns of the nation’s treatment of injured workers, forcing them into poverty and premature death. Tell them your story too, and ask for an immediate TASK FORCE TO FURTHER INVESTIGATE AND PROSECUTE PERPETRATORS OF HARM TO INJURED AMERICAN WORKERS. Tell your story to the people at ProPublica…..they have just hit the tip of the iceberg, wouldn’t you agree? Start your own blog like mine, and be polite, but don’t sugar coat the atrocities. Do you remember the “Women’s Revolution” and the “Civil Rights Movements” of the 60’s and 70’s? Hey Kids, Yes, We Had a Revolution, just like John Lennon sang about. We marched, we sang songs, we protested. We wrote letters. Many of us then assimilated into main stream society. Some continue to know WE HAVE A DREAM. Others were and are total sell outs. Draw your own conclusions, but be aware, the WarOnWorkers is real. I made it more than 45 years without being harmed by WorkCompsters, and I have been fighting for my life nearly 4 years now, a rookie in the field of WorkComp Survivors. Workers Compensation Insurance is a MEGA BILLION DOLLAR INDUSTRY, with apparently legislated fraud written on behalf of those shareholders and workers who profit the most. The top ten insurance industry CEO’s make annual personal incomes in excess of $10 million… How do they do that? THINK THINK THINK. See“Top 10 highest-paid CEOs at U.S. commercial insurance companies”and draw your own conclusions. District Attorney offices, at least in California, are provided with millions of dollars each year to “fight fraud”….. How’s that working for California’s injured worker population so far? You might have to wait 3 or 4 years for a call back! WORKERS COMPENSATION IS NOT AN EMPLOYEE BENEFIT. “It’s a Shell Game!” Injured Workers are the Cash Cows for the industries. You don’t believe it? Ask any Injured Worker Survivor, or any Doctor or Lawyer or other provider who has left the business, refusing to participate in the harm to injured workers for the profits of the few. If you’re injured on the job, BE PREPARED TO FIGHT FOR YOUR LIFE AGAINST SOME VERY FORMIDABLE ENEMIES OF HUMANITY. There’s no “opt out” for the injured workers — it comes with a complete stripping of civil and human rights. Thanks, Legislators! If you have friends or loved ones being destroyed by the system, don’t let them fight alone. Don’t let them go to doctor evaluations alone. Document everything. Congress may indeed instigate WorkCompGate investigations. Study the video you can find on YouTube called DEFENSE AGAINST THE PSYCHOPATH. It’s a documentary. It will give you clues to survival.Today, you don’t have that privilege unless you want to go out as martyr, due to the radiation levels in our Country, too! We fought against things also like this: Well! Some industry men have suggested that the tone of my blogs is too angry, and that nobody likes to deal with angry people, and that angry women seem to indicate a need to be ‘locked up in a psych ward’ — ‘medicated with mood elevators’ or have a ‘Court Appointed Conservator’ to make decisions to maneuver through the Workers Compensation Systems. [Doctors and non-retained attorneys have told me to KEEP screaming, somebody has to do it! ]How about the neurologist who said ‘Women over the age of 35 are not entitled to medical care for brain injury’…. Or the forensic psych who suggested there was no concussion, just “poor anger management skills” and no medical treatment necessary. What about the Judge who said, “Don’t use the word ‘fraud” in the Courthouse— that’s a legal term.” Are we seeing patterns here, too? Do we hear “MCPs” squealing a bit? Goodness, what a set of setbacks for Americans everywhere! HA! Tell that to Rosa Parks fans, huh? WHAT ABOUT “JUSTNESS” Ask Kimberly Motley, Esq? Her TedTalk on “How I defend the rule of law” is stellar! It has almost a million views! 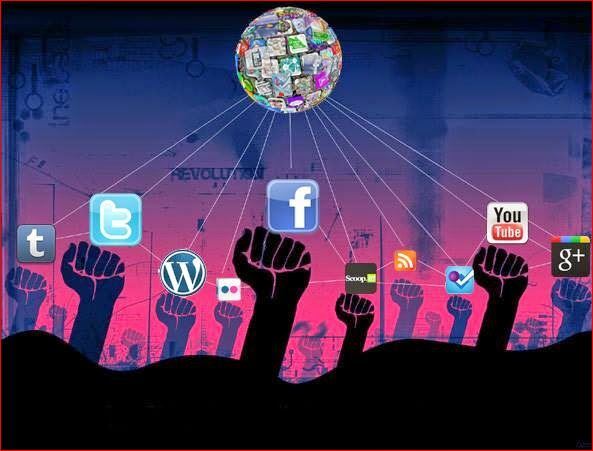 REMEMBER REMEMBER THINK LOCALLY * ACT GLOBALLY #OccupyVirtually and —> #DodgeTheRads! It’s Dangerous Out There! POLL VOTE ON WORKCOMP DIS-SATISFACTION! Got Friends Just Injured on the Job? Help Him/Her/Them Prepare to Fight for their Life! For your friend in ___________? Industry propaganda statistics were just released by the Berkeley Research Group. How much did they get paid for this report? 85% of workers injured in 2013 reported being “satisfied” or “very satisfied” with access to treating physicians and the treatment they received. WAIT WAIT WAIT! Let’s ask the question again? Here’s my blog on WorkComp. Views just hit over 25,000! I’ve been screaming about matters since Summer ’13. I was injured 1/9/12….still on the rest and wait and wait and wait and wait program. 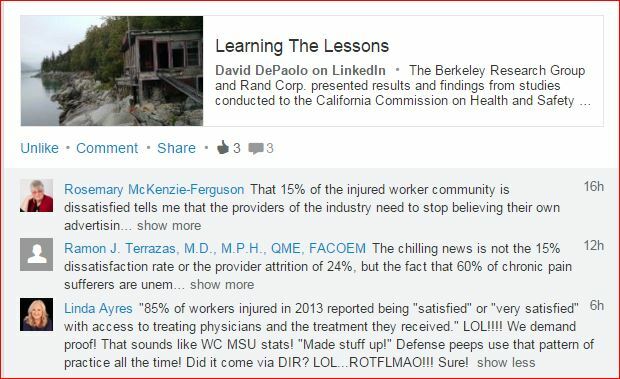 LinkedIn has primarily”industry” WorkComp groups, but some of us hope to change that. There are resources in the “About” section. The list of posts will give an overview of all the topics…WorkComp is brutal, and anybody in the system better be prepared for the fight for their life. #CommitteesOfBloggers of Injured Workers are needed…..imho. Here’s the video on DEFENSE AGAINST THE PSYCHOPATH…. as mentioned, I have zero tolerance for their ilk. Please pass this on to your friend with an invitation to contact me directly (and file it, and share it anytime you are so moved; #WorkComp touches everybody, eventually). Injured Workers share with one another; it’s how we survive these atrocities. Many thanks! Keep me on your mailing list… and we’ll talk again soon…. PS I also blog about Nuclear Matters, and we are having some extremely serious nuclear issues in … the Heartland. See more here: ALL NUCLEAR REACTORS LEAK ALL OF THE TIME… and St. Louis is not a good place to be either…. 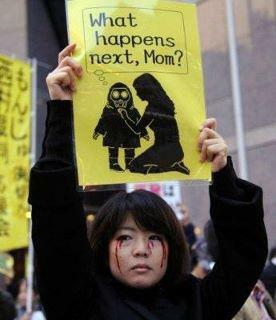 ASK ABOUT FUKUSHIMA NOW …. MARCH 11, 2011 —- TRIPLE NUCLEAR MELTDOWNS; NO EFFORTS TO CONTAIN. ~~~~~ Have YOU made your #CompLaude 2015 nominations? InjuredWorkersUniting #SilentNoMore Time for Trials. ♡ Till then, read “The First Leaflet” substituting the words “German People” with “American People.” Remember remember, in order for injured workers to survive these atrocities requires Everybody to be involved. ASK ABOUT BUILDING SEVEN, TOO. Remember Remember… All Nuclear Reactors Leak All of the Time! 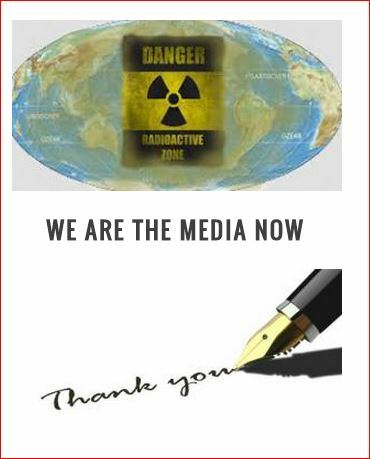 FUKUSHIMA IS NOT A LEAK!